Has your elderly parent experienced a fall? Falls are one of the most common causes of hospitalization for elderly people, but that doesn’t mean they aren’t frightening. Ohio’s icy winters can increase the risk of falling outdoors, and falls can also occur as a result of a medical condition or illness. But knowing how to take care of your loved one and provide support during the healing process can give you the peace of mind you need to create the best possible recovery plan. What Should You Do When Your Loved One Experiences a Fall? As people age, their bodies lose some of the flexibility and dexterity they had when they were younger. No matter how young a person feels inside, the loss of mobility can place them at higher risk of falling when they enter their golden years. If your loved one has been injured in a fall, do not attempt to move him or her. Instead, look for obvious signs of bleeding, swelling, or severe pain. If the person is unconscious, call 911 and get help immediately. Is the fall related to a medical condition that will require ongoing treatment? Was the fall caused by a medication affecting balance? If so, have we corrected the problem? What medications will my loved one be taking, and at what dosages? Will he or she need any special equipment or supplies? Will my mom or dad require physical therapy? Will he or she need ongoing care in a rehabilitation facility? What can we do to prevent another fall? Can we expect a full recovery? If so, how long will that take? Should we make changes to our long-term care plan? When is our follow-up appointment? What Should You Expect During the Healing Process? Healing from an injury can take longer for an elderly person than it would for a younger individual. It’s important not to rush the healing process by trying to do too much too soon. Many elderly people need additional assistance as they complete the healing process in a rehabilitation facility. What Are Your Options for Senior Fall Care Support? These facilities provide medical oversight and physical therapy for your mom or dad after leaving the hospital. This is often a logical next step if he or she requires more care than you can provide. It can also get them on the road to recovery, so they can better adjust for their return home. Assisted living facilities provide care as needed to assist with daily routines, mobility, and fall prevention. They are sometimes used as an intermediate step between the rehabilitation facility and a home care environment. Home care services can be customized based on your needs, from twenty-four hour care to hours targeted for specific assistance such as grocery shopping or transportation. Companion care gives your loved one the social interaction they may need while homebound after a fall. 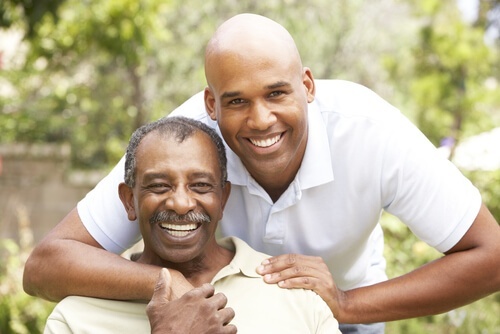 Caregivers can also assist with light housekeeping, meal preparation, and ambulation assistance. 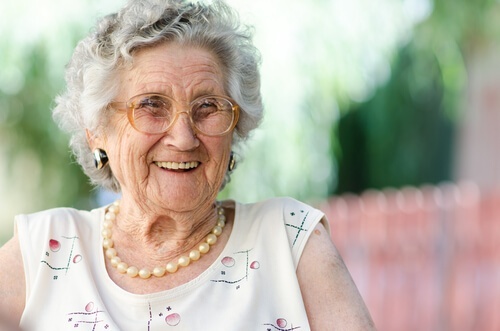 Caring for an elderly person after a fall can be a time-consuming and exhausting process. Respite care gives caregivers the opportunity to rest and recuperate. You may also need to make modifications to the home environment such as installing non-slip grippers on rugs, adding handrails and grab bars, or installing raised toilet seats. All recoveries take time. By providing your elderly loved one with the care and support needed after a fall, you can prevent additional injuries and create a safe, healthy environment for recovery. To find out more about how home care can help your elderly family member after a fall, download our FREE Guide to Home Care.